One, who was in his forties, said the offer was generous (more than he would get at auction). But he loves Dickson, the tree-lines streets (especially in autumn) and the convenience to so many things – so where would he move to? The other local is in his eighties and said likewise. Where would he move to? Besides he is happy to see life out where he is right now and leave the whole business of selling to his children. We all commented on the changing nature of our part of Dickson – that half east of the shops and east of Cowper St, not to be directly affected by the coming of the tram despite all the rhetoric. People speak of the suburban character – and how they want to defend it. Besides the fabulous trees throughout the area – the character at the moment is the constant changes with houses disappearing regularly or undergoing some form of renovations – there are tradies in the streets regularly. 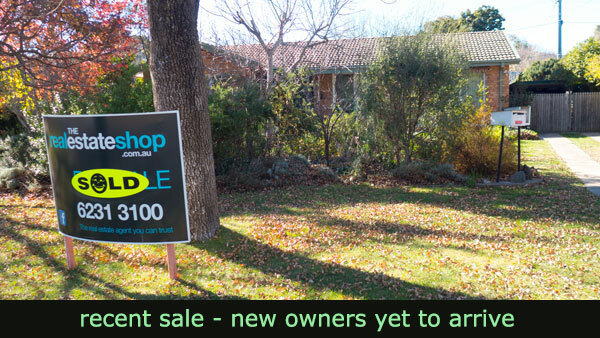 Sale prices continue to move upwards. 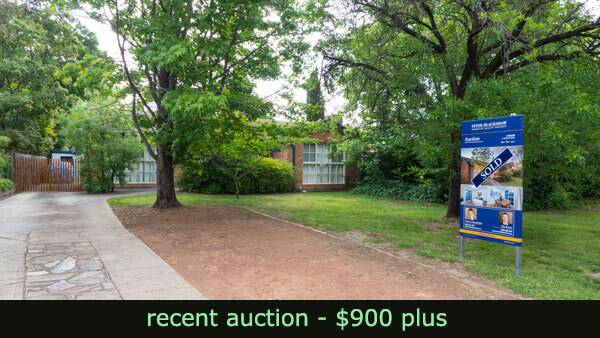 I have reported previously on auctions where a couple standard three-bedroom houses went for a bit over $900,000. 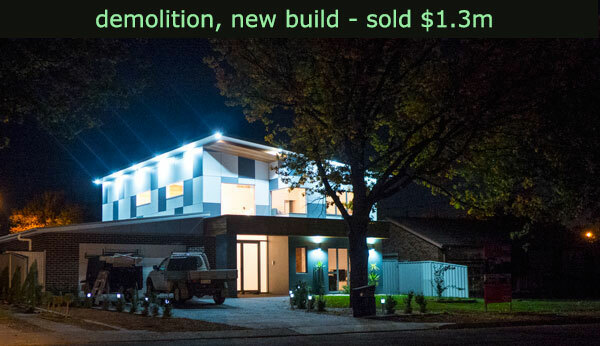 Meanwhile a two-story house that was built on the site of a demolished house went for a cool $1.3 million with another standard three bedroom close by having just sold through private sale for $895,000. 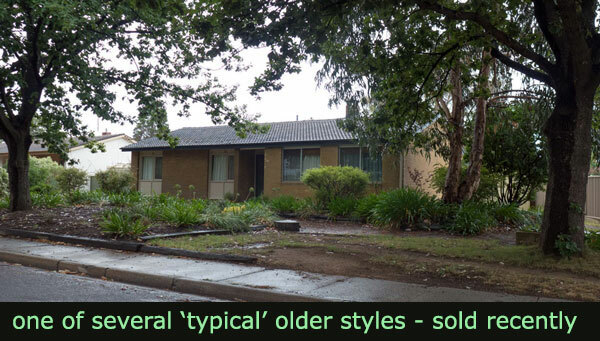 Dickson was originally mostly either government houses or project houses – all being fairly standard three bedroom style. 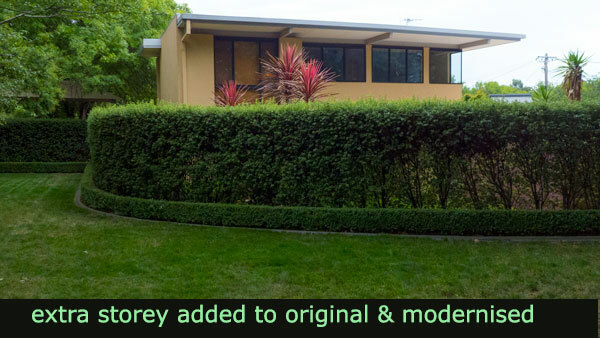 Most have now been renovated or extended. So many of these look unaltered at first sight but on closer inspection some level of change is the norm. 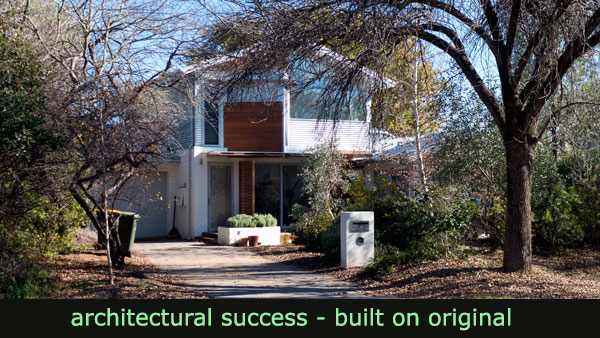 The original house designs for most of the suburb were minimal and served people fine for the time – but we are well passed having to put up with a lack of design – we now need houses that are designed for this climate and use a minimum amount of water and energy. 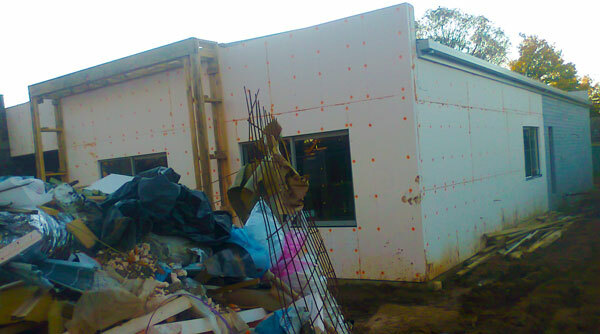 Looking around the new houses being built I suspect few have been built with any lessons from the previous bad designs – or lack of design. There are exceptions – but it is sad to see the new standard home remains highly energy inefficient. 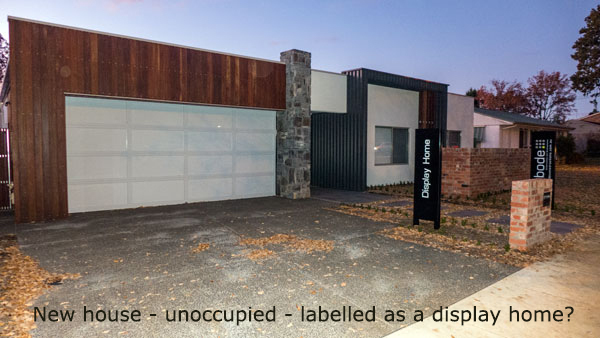 Even more of worry is that some are being built to occupy way too much of the block resulting in very little opportunity for ample greenery – to assist with sustainability and the suburb’s biodiversity. However there are definitely positive things happening. Time to be positive. There are several houses, one and two storey, that have built more or less on the same footprint (maybe with a little extra) and in doing so have pushed back against the trend to build a MacMansion in Dickson. There’s an architectural study sitting out there on how the original standard boxes could be renovated to be a house of the 21st Century. 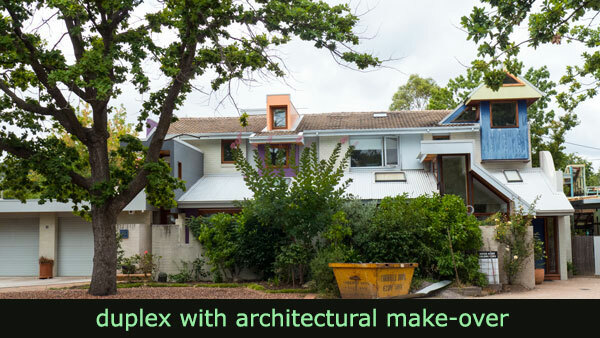 I have seen articles on ‘luving your guvie’, but it would be great if more architects would make themselves more accessible to owners and to push for more original and thoughtful renovations. More of them need to keep a distance from the developer lobby or not become a developer/architect. 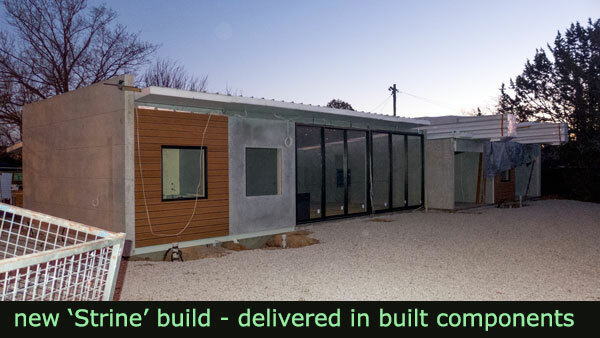 Many houses are being built to address the aspiration to ‘Super-Size’ and to use every bit of the landscape as possible. I am not arguing here for a set of regulations to deliver a new house type that fits any theoretical local character. That would be boring. But I would love someone to poke the architectural professions into actions to not follow what the developers want. 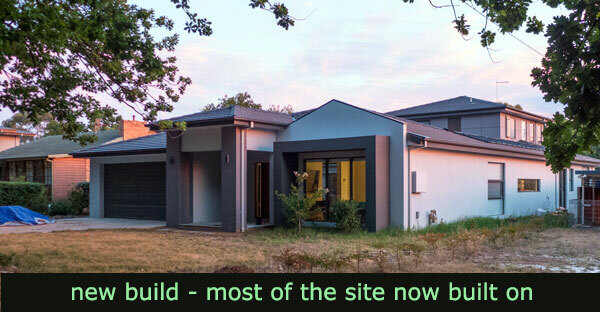 Architects need to be part of a movement that takes a stand for Canberra’s inner north suburbs and to drive change to have innovative broad rules that deliver well designed homes. Future houses should include ample landscapes (loads of bushes and trees) as well as a styles of houses that are not ‘Super-Sized’ and are built (renovated or new) to address all manner of energy efficiencies and sustainability issues. Is there any chance that our new planning chief and/or the soon to be established new urban authorities will address such challenges? It could make for a great national capital for future generations. Suburbs with great architecture? Too much to ask?? Meanwhile there is that question: Where would I go (if I accept the developer’s cash)? Maybe I will research Goulburn some time soon. Why not move to Goulburn? Anyone out there I could talk to?